No worries, I will not spoil tonight's episode... I don't have cable, remember? So that means I usually watch it on Sunday. So don't tell me who got eliminated tonight whatever you do! I saw this image over at Fabric Lab and thought it was kind of fun. I do love Mondo and his quirky little self. His short and unique outfits are always attention getting. Gretchen is a bit of a bully and I'm sad she's from Portland. Not a good representative of our sweet city. Who is your favorite contestant this season? 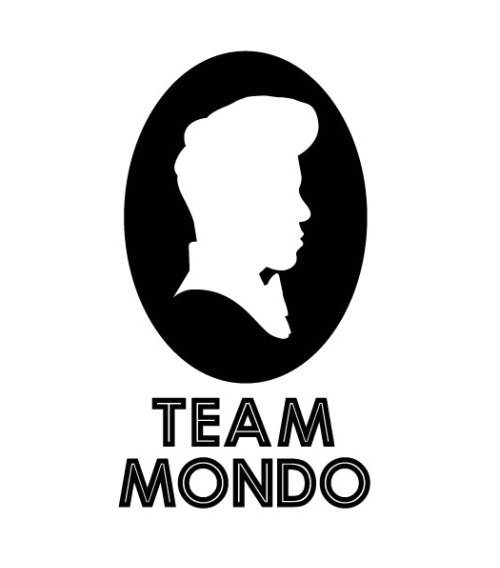 I love Mondo, even more after what happened this time. What an emotional episode this one was! Even Tim wiped away a tear or two. I just finished this episode and I totally agree! I find him incredibly endearing!